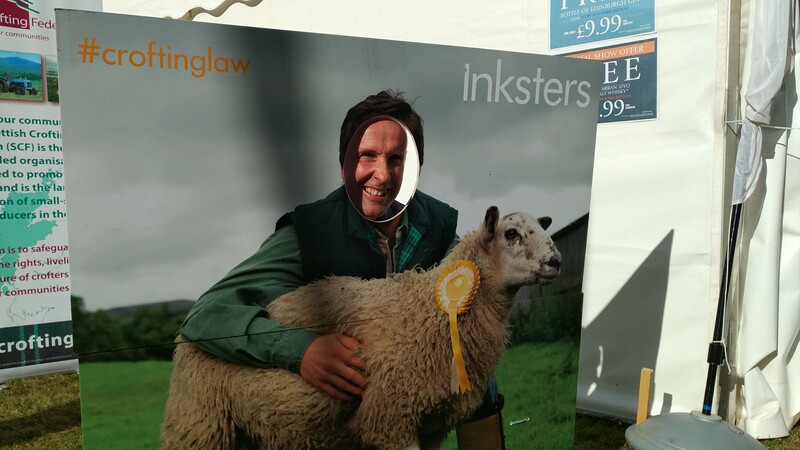 Inksters are back again at the Royal Highland Show this year. As usual we are sharing a stand on 4th Avenue with the Scottish Crofting Federation and Registers of Scotland (Crofting Register). Today Brian Inkster was on the stand answering queries, amongst others, from new entrants about finding and securing a croft and from established tenant crofters about the procedures to purchase a croft. On Friday Martin Minton will be on hand to answer crofting law queries and on Saturday Vicki Macleod Folan will be. 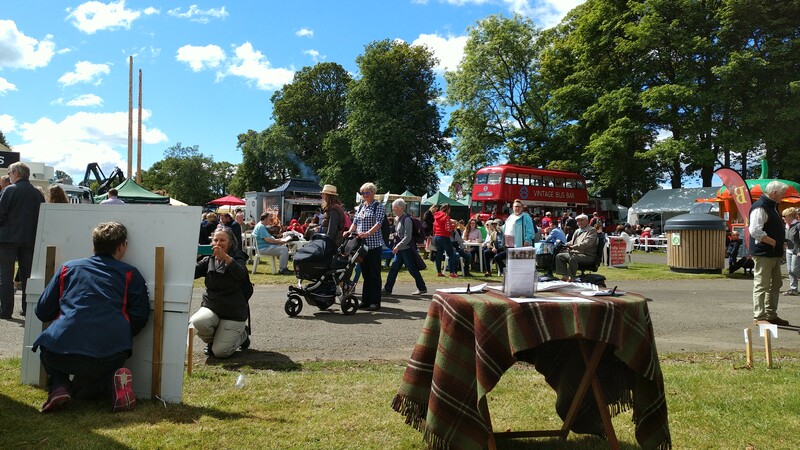 Visitors can hear from the Scottish Crofting Federation about the benefits of joining the Federation and the various services that the Federation provide to its members. The team from Registers of Scotland can tell you all you need to know about registering your croft in the Crofting Register. Not forgetting, of course, that Inky the sheep is back and you can get your photo taken with our prize winning sheep. If you are at the show do come along and say hello at 4th avenue. We are just across from the big red double decker bus (Vintage Bus Bar) and the dining area in front of it. 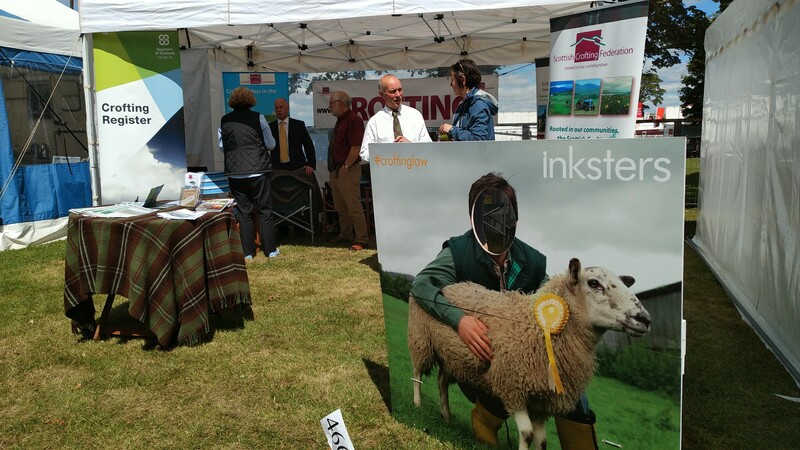 This entry was posted in Agricultural Shows and tagged Brian Inkster, croft, Crofting Register, Inksters, Inky the sheep, Martin Minton, Registers of Scotland, Royal Highland Show, Scottish Crofting Federation, Vicki Macleod Folan on June 21, 2018 by Brian Inkster.